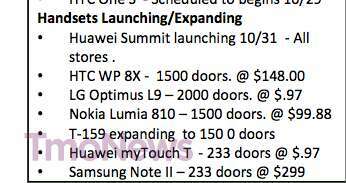 An interesting leak from Walmart’s inventory system has revealed some upcoming pricing for new Windows Phone 8 devices; what’s more they look fair. In the single screenshot posted by TmoNews, we can see the HTC 8X is priced at $148.00 on a 2-year contract while the Nokia Lumia 810 is going for a $99.88 price point. We suppose those prices don’t shock us too much, although it’s nice to see the HTC 8X going for $150 as opposed to the more common $199 these days. Walmart has their own pricing system and they could be cheaper than what T-Mobile eventually offers, but these prices should be ballpark for those who want to go through T-Mobile directly. 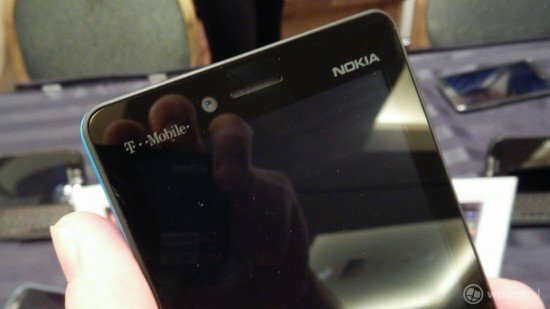 T-Mobile is expected to start selling their Windows Phone 8 devices in the second week of November, according to a previously leaked roadmap.